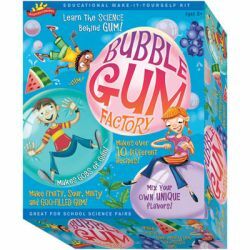 Do you know what makes bubble gum chewy and delicious? Make over 10 different bubble gum recipes in a range of flavors. Ages 8+. By Scientific Explorer.